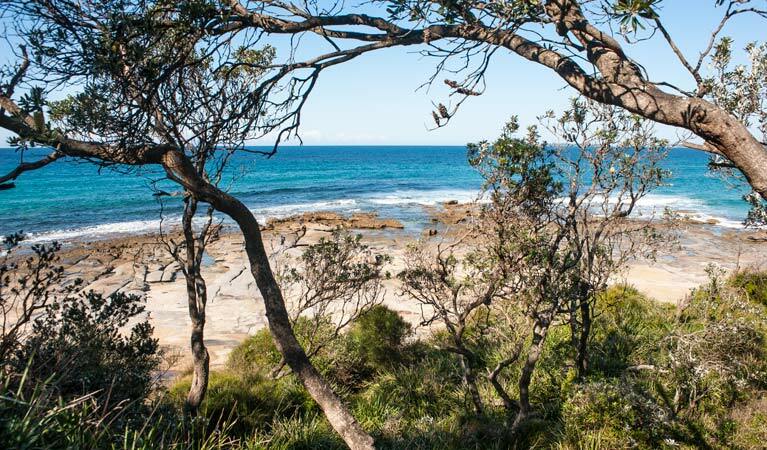 Get back to basics and discover the unspoilt beauty at Sunburnt Beach campground. Enjoy swimming, fishing and birdwatching just moments from your campground. Bookings cannot be made and campground sites fill up quickly over summer, on a first-come first-served basis. 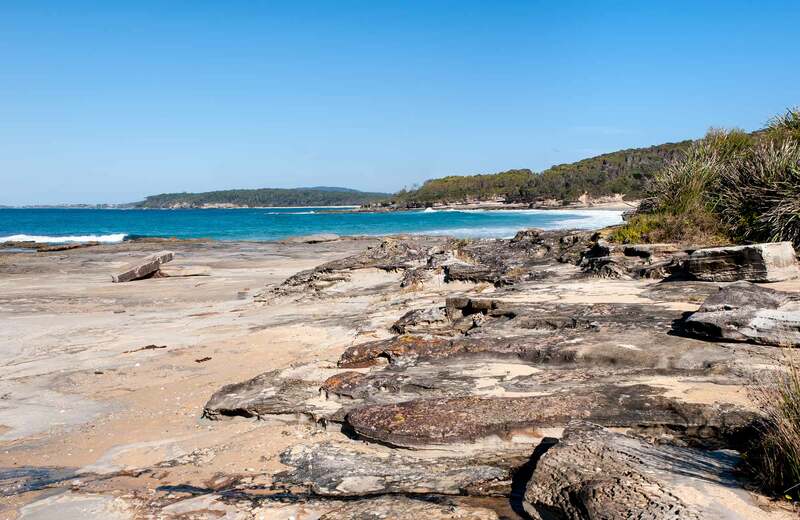 If campground sites are already full when you arrive, please make a backup plan and arrange to stay at another campground on the beautiful NSW South Coast. 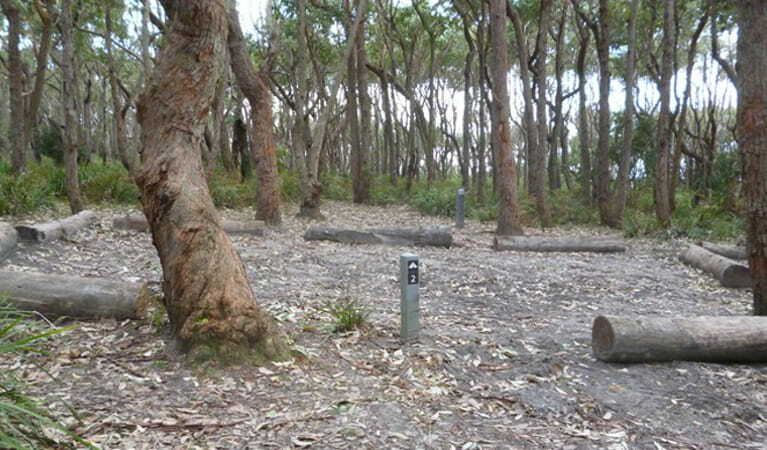 All campsites are suitable for tent camping, and are lined by logs and fences. Site sizes are approximately 6m x 8m. There is no power in the campground. Wake up to the sound of birds in the trees and back to basics at this unspoilt campground nestled amongst the trees. It’s a short 250m walk from the carpark to the campground, making it feel even more removed from the hustle and bustle of daily life. Set up camp then head off to explore the surrounding beauty. 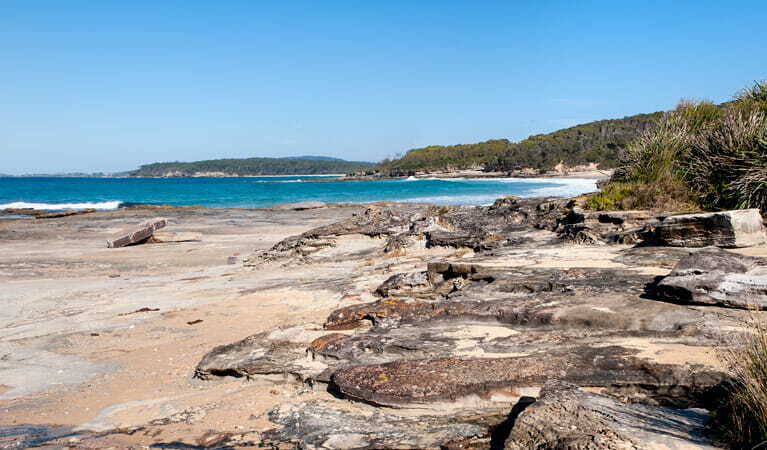 Take a short walk to the nearby beach and admire scenic views to the north along the coastline to Crampton Island. Enjoy swimming in these pristine waters and looking for shells on the sandy shore. Try your luck fishing from the beach then cook up your catch on the campfire. Or just sit back, relax and take in the scenery from your campground. In spring you’ll be surrounded by beautiful and rare wildflowers. There are also plenty of birdwatching opportunities in the area and you might spot some passing wallabies. 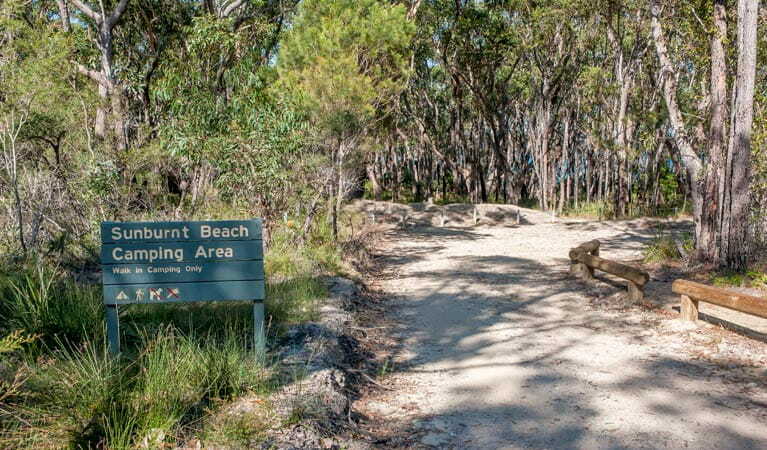 Meroo National Park is always open but may have to close at times due to poor weather or fire danger.